A New York-based private equity firm is the latest investor entering the Chicago area’s market for distressed homes. The Cogsville Group LLC paid about $2.1 million for an equity interest in 94 foreclosed properties from Fannie Mae that stretch from the Wisconsin border to the South Side of Chicago. The properties include 111 rental units, 68 of which are occupied. The transaction, part of a pilot program to sell foreclosures in bulk in hard-hit housing markets, was announced Tuesday by the Federal Housing Finance Agency, Fannie’s conservator. The Cogsville Group first invested in the Chicago market in 2010, when it bought 69 distressed real estate loans at auction from the Federal Deposit Insurance Corp.; most of the loans were commercial properties. Now, CEO Donald Cogsville has his eye on amassing 1,000 Chicago-area residential properties. During the next several weeks, tenants will be notified of changes in ownership and prix du cialis en pharmacie property management. The Cogsville Group will receive only 10 percent of the income generated by the properties until Fannie Mae receives $8.4 million. Then its receipts will grow. The firm is hardly alone. Earlier this year, housing analytics firm CoreLogic estimated the foreclosure-to-rental market to be a $100 billion industry nationally this year. Chicago was identified in particular as one of the best markets for investment because of the high number of foreclosures. Waypoint Homes, of Oakland, Calif., began purchasing foreclosed homes this summer in the far western suburbs and converting them into rental properties. Last month, U.S. Residential Asset Fund LLC announced plans to invest $20 million in real-estate-owned-to-rental properties in the next two years, and it hopes to begin buying homes in the Chicago area before year’s end, said fund manager Christopher Crippen. Interest in the local distressed housing market may grow. 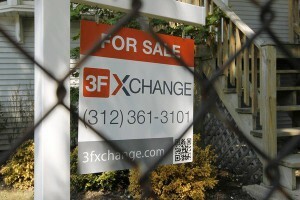 Last month, RealtyTrac reported that Illinois had the highest foreclosure rate in the nation. “There’s plenty of inventory for everyone,” said Eric Workman, a vice president of Mack Companies, a Tinley Park-based company that is a longtime buyer of distressed properties. The glut of foreclosed properties continues to weigh on local home values, so their resale is expected to help the housing recovery by removing distressed properties from the market. On Tuesday, CoreLogic said home prices in the Chicago area fell 2.5 percent in August from a year ago, weighed down by distressed sales. Still, housing advocates are starting to express concerns about investors’ goals.